Even the glory of winning La Liga could not hide Barcelona’s disdain of Real Madrid. The Cules’ minds were still preoccupied by the previous season’s elimination at the hands of their bitter rivals but more poignantly that Los Blancos went on to win another European crown. However, Barca’s wait at redemption was brief as they drew Real in the first round. Despite Barcelona’s domestic supremacy, the Bernabeu had become an impenetrable fortress during the first five years of European football—Real had a 100 percent winning record, scored 66 goals and conceded just eight. Barcelona though managed a highly credible 2-2 draw at the Bernabeu which left the tie tightly poised and with 120,000 fans vociferously backing them at the Camp Nou, Barca won 2-1 to dump the five-time winners out of the competition. Finally, a new name would be scribed on the European Champions Clubs’ Cup trophy. A maiden European Cup success would help Barcelona receive more international recognition and the Catalans reached the final after beating Czech side Hradec and German club Hamburg. Barca, frustrated at finding themselves in Real’s shadow, had their own batch of legendary players in Zoltan Czibor, Sandos Kocsis, Luis Suarez and Evaristo. Their captain was veteran goalkeeper Antoni Ramallets, who also kept goal for Spain, and he hoped to retire on a high by lifting the European Cup. Their opponents in the Swiss final were Benfica, who themselves were entering a domestic and international period of dominance. The Águias were relatively untroubled in progressing through the tournament but did win their semi-final on default. With a 1-1 scoreline in Austria, Rapid Vienna were in the ascendancy after their equaliser and were then denied a penalty by the referee. 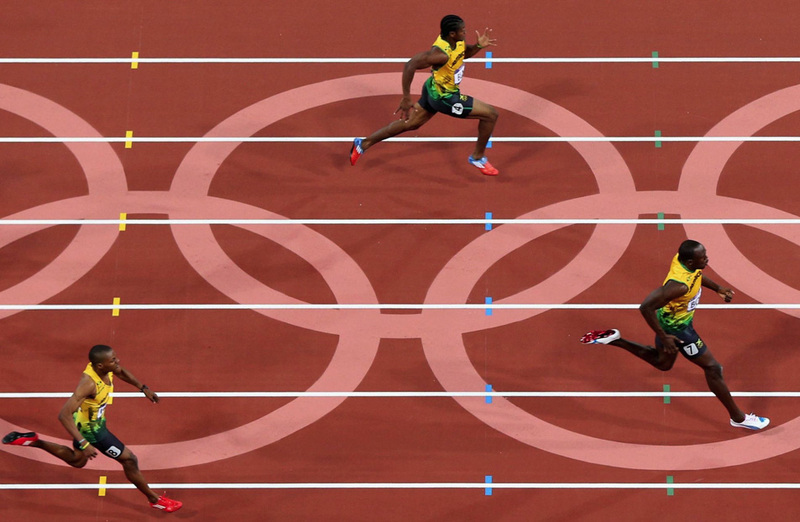 The players and officials vigorously complained which was the catalyst for a pitch invasion. The match was abandoned and UEFA ruled that Benfica would progress to the final given they had a 4-1 aggregate lead. The Austrian club received a three-year ban from European football. Despite going into the final as underdogs Benfica were led by the serially successful Bela Guttman. The Hungarian player’s move into management garnered a distinguished footballing resume. Guttman coached in his native Hungary, plus Holland and had a successful stint with AC Milan before being fired. He moved to South America, coaching Sao Paulo to the state championship and was considered a pioneer as he implemented the 4-2-4 system which was replicated by Brazil with great success at the 1958 World Cup. He moved to Porto in 1958 and gained instant success in winning the league but had no second thoughts in moving to their rivals Benfica. In taking on favourites Barcelona, Guttmann’s experience ensured at least he was not overwhelmed. In line with wider expectations, the Catalans appeared on course for a maiden European Cup win after a Kocsis’ header had given them the lead midway through the first half. But then uncharacteristically Ramallets had a disastrous two-minute spell which turned the tie on its head. He completely missed one cross and punched another into his own net so Benfica had a 2-1 advantage at the interval. Eager to maintain their lead Benfica came out swinging in the second half and Ramallets was beaten again but this time through sheer class with a volley from 25 yards. Barcelona pulled back a consolation as Benfica held on to win their first European Cup. After being the first English team to win the domestic double in the twentieth century, Tottenham Hotspur were considered a serious competitor in the European Cup. However, in the preliminary round against Polish side Gornik Zabrze the Londoners’ European debut looked to be brief as they found themselves 4-0 down after 48 minutes. Spurs pulled two goals back in Poland and then won 8-1 in front of a packed White Hart Lane to win 10-5 on aggregate. Alfredo Di Stefano and co had returned to winning ways by securing the La Liga title and were chasing their sixth European crown. By the time they faced Italians’ Juventus in the quarter-finals, Los Blancos had scored 17 goals in just four games. The first leg was held in Turin and Di Stefano conjured some magic to give Real a 1-0 away win. In Madrid though Juventus won 1-0 and became the first side to defeat Real at the Bernabeu. A play-off match followed which Real won 3-1 to progress to the last four where they easily dismantled Standard Liege—scoring six unanswered goals over two legs to reach their sixth final in seven seasons. Holders Benfica faced Spurs in the other semi-final and coach Guttman was very wary of the threat posed by the Londoners. Benfica started well with a 3-1 win in Lisbon where Spurs had two goals ruled out by the referee. In London Spurs led 2-1 with most of the second half to play and yet again had another goal ruled out. Benfica would narrowly advance (4-3 on aggregate) to the final and Guttmann gave the Lillywhites a huge token of respect: “It was the hardest game of my life. I thought Spurs would equalise in the last ten minutes. They can win the European Cup soon.” Unfortunately Guttmann was no oracle since Spurs waited almost half a century for their next European Cup appearance. Keen to win back their title Real started the final strongly as Puskas scored twice to give Real a 2-0 lead. Aguas and Cavem brought the scores level for Benfica but Puskas completed his hat-trick before half-time. With Benfica trailing and Di Stefano running amok in the first half Guttmann chose to sacrifice a player in order to solely man-mark the Argentine. This gamble had the desired effect as the prolific Puskas was starved of service in the second half. Coluna equalised for the Portuguese and then a young Eusebio scored twice as Benfica ran out 5-3 winners. Ferenc Puskas remains the only player to date to score a hat-trick in a European Cup final and end up on the losing side. While Benfica progressed from the earlier rounds without much difficulty, record winners Real Madrid caused shockwaves with their early elimination at the hands of Anderlecht. With the favourites out Benfica’s chances of winning a hat-trick of titles, and making Guttmann eat his words, improved considerably. Milan and English champions Ipswich made fans pay attention as they each scored 14 goals in their qualifying matches. Fate then paired both together in the first round where Milan won 4-2. In the quarter-finals Milan further strengthened their case with an 8-1 win over Turks Galatasaray while Benfica, despite the emergence of Eusebio, laboured to overcome Dukla Prague (2-1). Milan beat Scottish side Dundee in the semi-finals with Benfica ending Feyenoord’s hopes of a maiden Dutch winner. Milan’s pedigree was evident as the Rossoneri had won four Scudettos in 10 years plus they had reached the 1958 European Cup final. 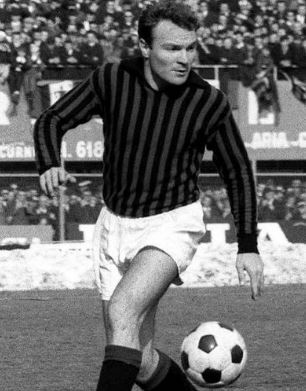 Milan had a goal machine on their roster in Jose Altafini and he finished capocannonieri (top-scorer in Serie A) in 1962. His goals helped Milan win the competition as he scored 14 overall with two coming in the final. Benfica’s dominance had ended but their anguish had only just begun. Helenio Herrera was sacked by Barcelona in 1960 after Real Madrid had embarrassed the Catalan hierarchy in the European Cup semi-finals. The move by the club’s owners was certainly harsh considering his impressive footballing resume. He had won two La Liga titles with Atletico Madrid before moving to Barcelona where he repeated the same feat during his short tenure. Barca’s short-sightedness was Internazionale’s gain as the Nerazzurri appointed him manager and the Italian club moved into one of its most successful periods. Tactically Herrera is synonymous with catenaccio, the ultra-defensive strategy which is believed to have evolved in Serie A during 1960s. The catenaccio tactic was evident as early as the preliminary round as Inter were handed a tough start against English champions Everton. The Italians managed to obtain a clean sheet at Goodison Park (0-0) with a very deep defensive line which proved impenetrable for the Toffees. A slender 1-0 win in Milan was enough for Inter to progress. Across the other side of Milan, AC were eliminated by Real Madrid 4-3 on aggregate. The multiple European champions had aged but still proved themselves as a credible threat with an earlier humbling of Rangers 7-0. In the first round, a simple game of heads or tails proved the method of victory when Turkish side Galatasaray played FC Zurich. Each side won their respective home game 2-0 which meant a play-off was required but that yielded a draw. The two captains then faced off at the centre circle and tossed a coin with the Swiss captain calling correctly. Benfica failed to their attempt to reach a fourth successive final by Germans Borussia Dortmund. The Portuguese held a slight advantage from the first leg but were then hammered 5-0 in Dortmund. The Germans’ adventure ended against Inter in the semi-finals as they lost 4-2 while Real further underlined their credentials with a 8-1 win over FC Zurich. In the final, Inter’s power and precision trumped over the aging flair of footballing alchemist Di Stefano and the scoring prowess of Puskas (even though the latter did find the net in Rome). Inter became the first side to win the European Cup without losing a single game. Herrera was the toast of Milan as was ex-Barca player and Ballon d’Or winner Luis Suarez who had followed his mentor from Spain to Italy. The final would have been bittersweet for Barca as they toasted Real’s defeat but at the same time pondered over what may have been if the club’s had acted with composure four years earlier. Liverpool’s debut in the European Cup resulted in double figures as they beat lowly Icelandic KR Reykjavík side 11-1 on aggregate. Controversially Inter’s consolation goal at Anfield was an indirect free-kick which was scored directly. In Italy, there were additional questionable decisions, namely Peiro’s goal to make it 2-0 where he craftily kicked the ball out of the Reds goalkeeper’s hands and scored. In the final, Inter would face a resurgent Benfica at the San Siro as the Portuguese advanced to their fourth final in five seasons. The predetermined venue for the final provoked a petulant response from the Portuguese who threatened not to play unless it was moved elsewhere. UEFA stood firm and the game went ahead. In front of 89,000, mostly Italian, fans Inter played their perfect game by controlling a game to win with a solitary goal—Jair scored shortly before the half-time interval. Herrera had won the double after Inter also won Serie A during the same year. Tagged as: Benfica, Catenaccio, F.C. 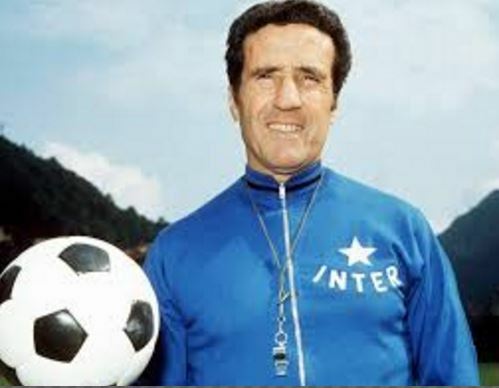 Internazionale Milano, FC barcelona, Helenio Herrera, Milan, Real Madrid C.F., Tottenham Hotspur F.C.